The atmosphere was electric during LakewoodAlive’s latest Knowing Your Home workshop. 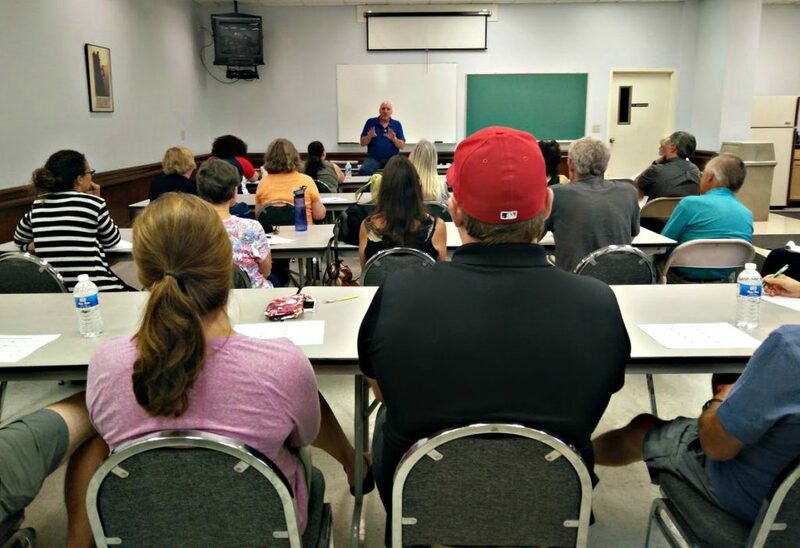 A sell-out crowd of 45 area residents convened at Clock Electric on August 17 for LakewoodAlive’s “Knowing Your Home: Electrical 101” free workshop. Led by friend of LakewoodAlive John Turner, this workshop sought to empower attendees to feel comfortable discussing, contracting and working with their homes’ electrical systems. Our “Electrical 101” workshop drew 45 attendees to Clock Electric. If you are unsure of what exactly needs to happen, make sure that there is somebody nearby with experience. Having somebody with experience around can help avoid mistakes that can cause serious harm in the future. A poorly-wired outlet can lead to a fire and put your home in danger. One of the basics of electrical safety is cutting off the power at the circuit-breaker box before working on anything electrical.